WordPress is used almost 25% website created now. So demand WordPress Developers is very high and getting good quality WordPress developers is really tough. I am providing you some tips that will help you. In the fast pace tech-driven world of these days, companies have accomplished great benefits and digital supports for maximizing their sales and earning exceptional profitability. For driving your business efficiently even in this competitive scenario of these days, it is actually essential to make your website completely interactive and user-friendly. By getting the support of a WordPress professional, you can build your site a better way, making it user-driven and meeting your business objects and vision efficiently. In this online business environment, WordPress development is in extreme demand and has extended a great path for developing enchanting and beautiful websites. Hence, there remains a big demand for WordPress development in our nation. The building of a WP site has different disciplines like theme customization, integration of theme or template, CMS development, responsive design, development of plugins, installation of custom modules alongside their integration, etc. Moreover, plugins improve the performance of a WordPress site. Alongside the services stated above, an efficient WP developer is totally equipped for integrating smart SEO techniques into an eCommerce portal, for maximizing its visibility and making it available for a huge range of clients. A professional WP developer also assures precise installation procedure of WP themes and designs and ensures that the site is positioned far ahead of all your rivals – with scalable, future-proof, and user-friendly WP modules in place. Changing your business concepts to reality is the prime vision of an effective and leading business strategy. A WordPress professional can help you achieve your long-term business desires at a budget-friendly way and in the best possible time period. Regardless of the need and size of a business, organized and properly developed infrastructure for hosting a site is of ultimate necessity. Luckily, there are numerous professionals engaged in WordPress based site building in India and overseas. The number of WP developers is continuously maximizing due to the high popularity of the developers and the flexibility of this unique system. According to the latest study, WordPress is one of the most popular platforms over the web and it’s a great indication for hiring proficient WP developers and building a competitive site. Customization of WP theme is extremely popular among all the current WordPress users. Thereby, the importance of hiring proficient WordPress developers is also increasing. It needs exact selection procedure of the cost-effective and highly skilled WP developers. Prior to hiring a WordPress developer, you should know all the eligibility criteria to search for. Thus, you must follow some relevant tips for getting the best result from the whole procedure as your relaxed way may cost you more and get you a less effective WordPress theme. Extensive research – For hiring WP developers, you will require conducting an extensive research online. You’ll get 2 choices – companies offering WP theme customization and offshore WP developers. I will suggest you choose the second option as the developers will offer better quality services to the clients. This way, their customer base grows and they get more projects as well. Such developers offer budget-friendly customization services. Create a list of developers – Narrow down your searches and enlist several service providers and assess their credentials for the prices charged by them. Ponder some quintessential factors like their work experience, qualification, accomplished previous projects, and their clientele base. Assess their quality – Evaluate the quality of the past assignments done by the developers. Hence, you will understand their work quality that they will be offering you. Approach the service provider – Approach the developer you select by calling him or emailing him. Tell him your business expectations. Thereby, the WP developer will be capable of customizing the WP theme as per the exact needs of your business. Make a legal contract – This is the ultimate and most important step of the whole hiring procedure. Create a legal agreement with the developer to ensure he will offer the best outcome. The legal agreement is important for the delivery of the hassle-free services. It makes sure timely payments as well. 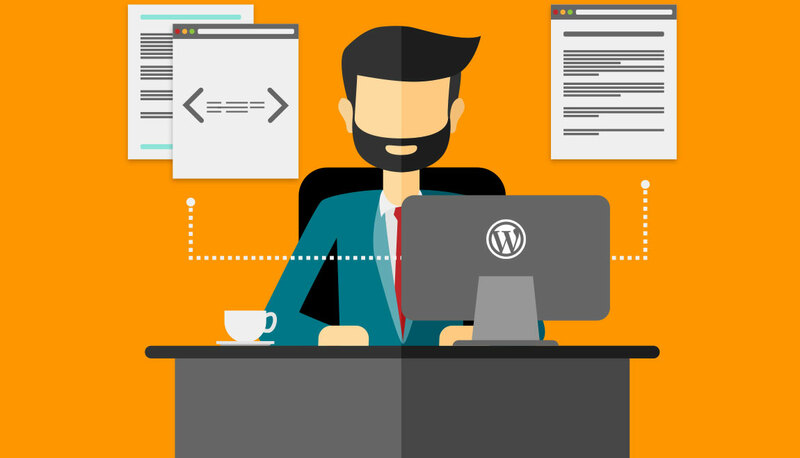 So, these are everything you ought to know to hire a proficient WordPress developer for your business. If you are desirous of hiring an efficient and dedicated WP developer to make your online presence dynamic, robust, and highly functional, look no further but get in touch with me. I am waiting to give you a helping hand. So, contact me now!